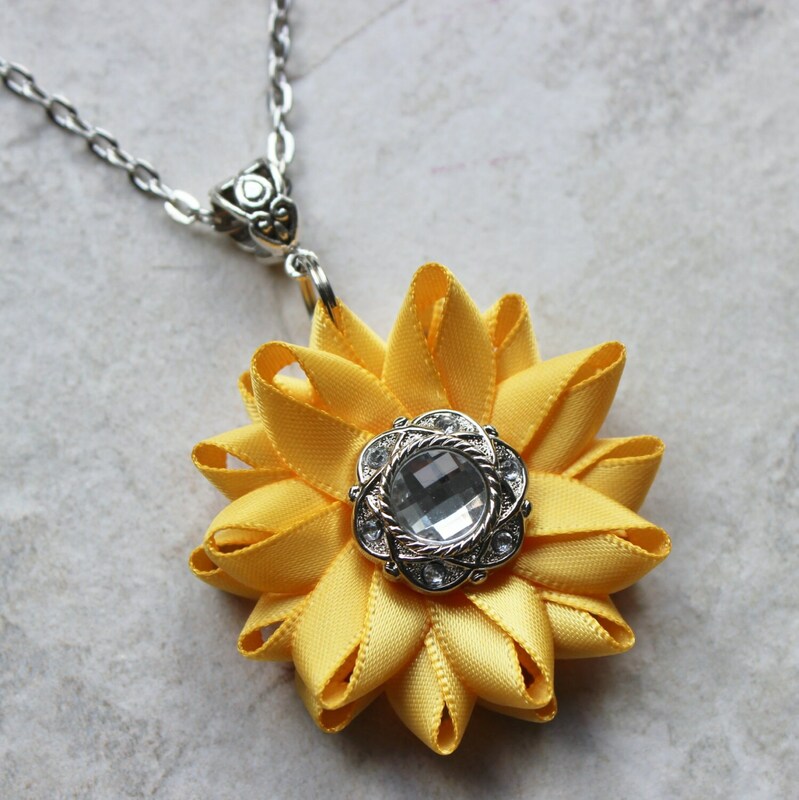 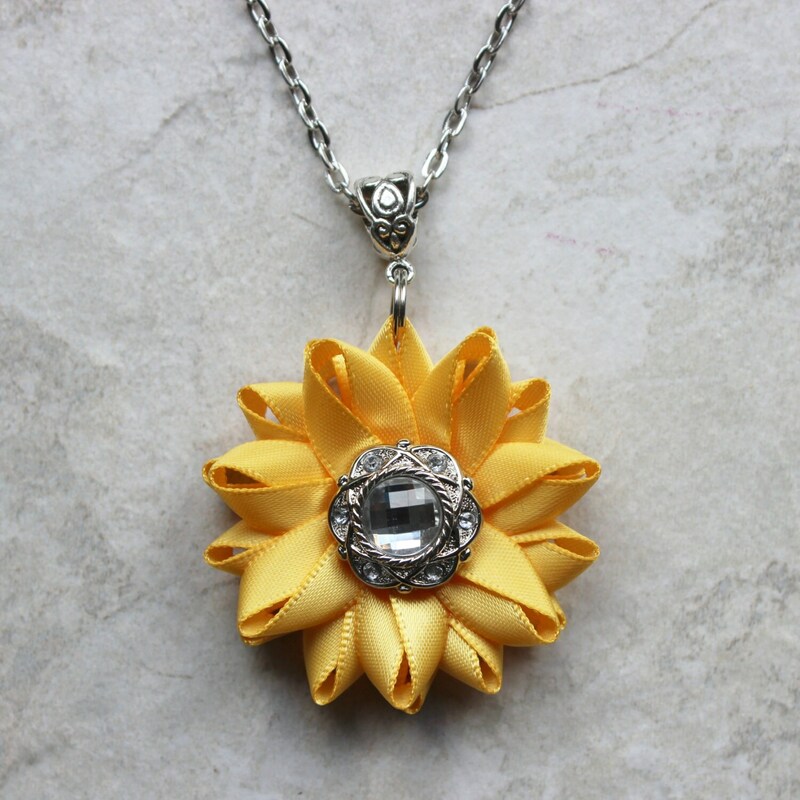 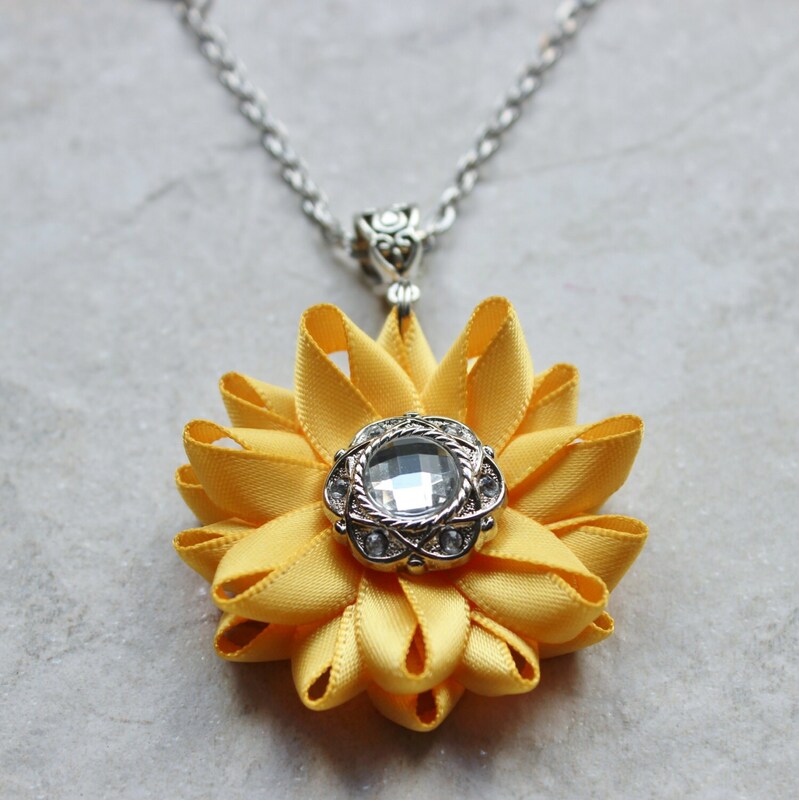 This golden yellow sunflower necklace is hand-sewn, petal by petal, and pieced together meticulously to create this unique design. 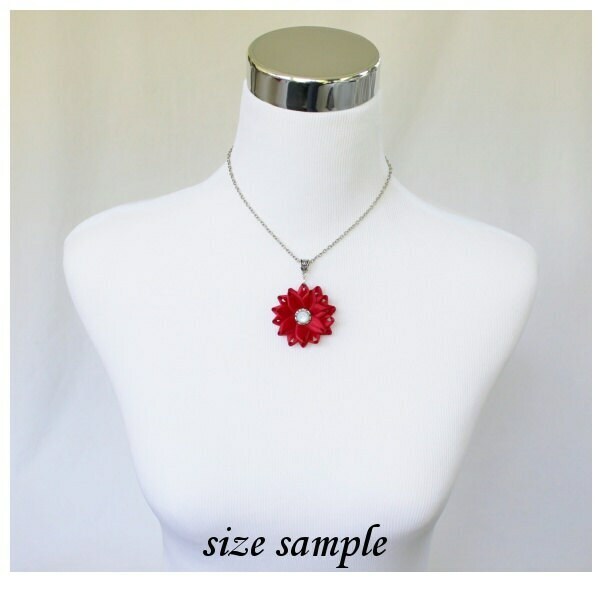 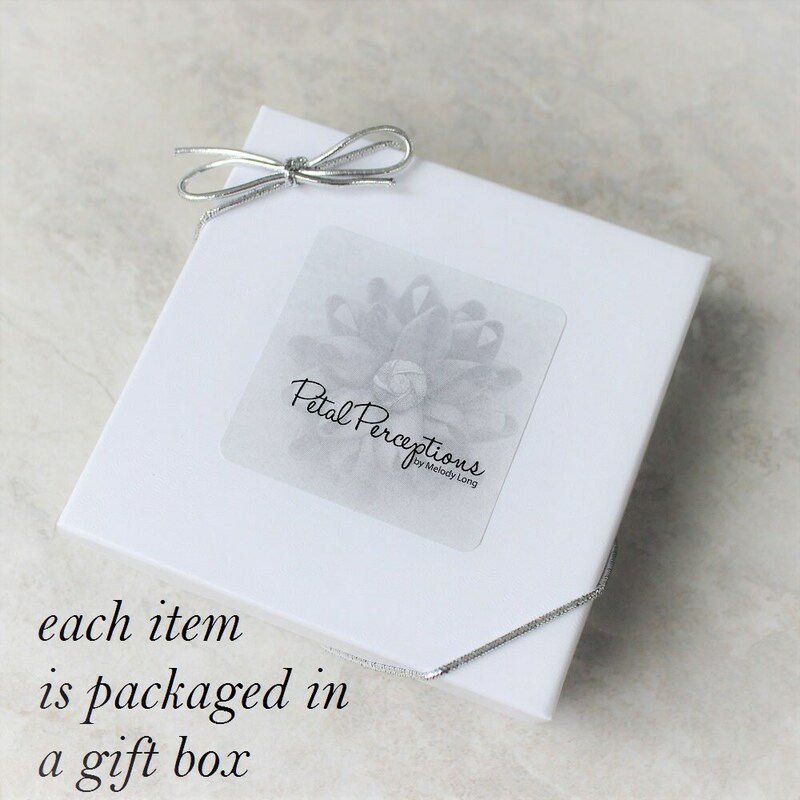 The flower is 1 5/8" wide and ships in a cotton lined gift box with bow. 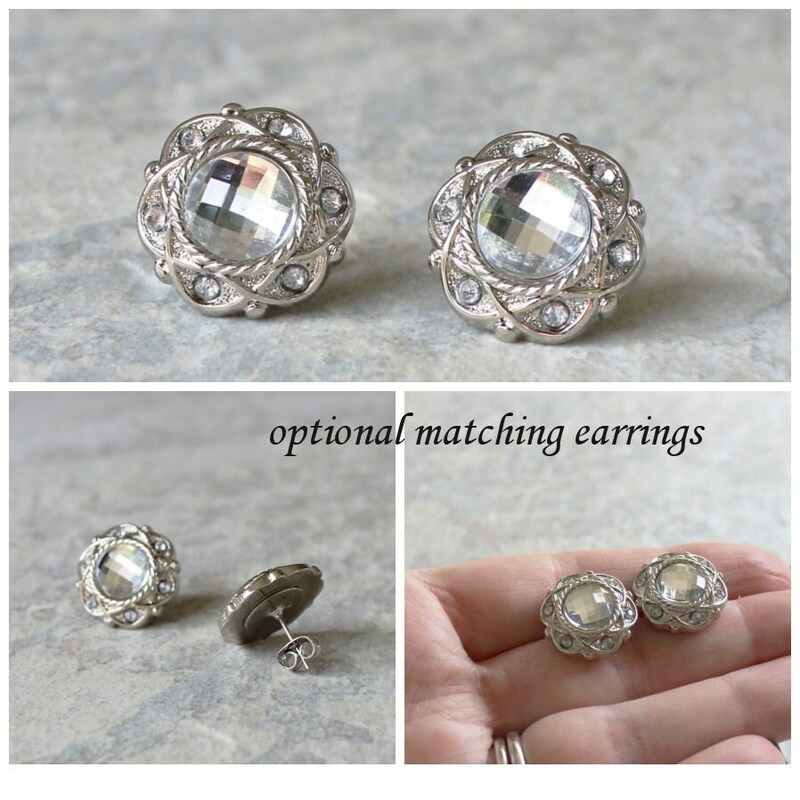 The optional matching earrings are 3/4" wide with hypoallergenic posts and butterfly backings.